The modern retail landscape is complicated, to say the least. Traditional brick and mortar brands are working hard to enhance the in-store experience, but beefing up their ecommerce simultaneously. Online retailers are reaping the benefits of offering quick and convenient digital shopping, but also placing greater importance on delivering face-to-face experiences, like pop-up shops, to connect with customers. Now, thanks to the rise of augmented reality, including the ARkit released by Apple over the fall, some brands are bridging the gap between the isolated online shopping experience and the high-touch in-store experience through AR-powered mobile apps. It’s a strategy that helps retailers extend (or enhance) the in-store experience, and in turn, keeps the company top of mind. Here’s a look at some of the brands getting it right. Want to know if that killer leather armchair would look good in your living room? The IKEA Place app has you covered. The home furnishings brand has incorporated a catalogue of over 2,000 of its products into the app to give users an idea of how everything from cribs to rugs would look in their very own homes. The user simply holds their phone up and uses the camera to place digital furniture anywhere in any room. In addition to offering a look at whether or not a piece of furniture would be aesthetically pleasing, the app also provides precise measurements of each item, eliminating the stress of wondering if there really is enough space for that new sofa you’ve been eyeing. With the help of facial recognition technology, the Sephora Virtual Artist app allows users to participate in a virtual makeup try-on experience with Sephora products. Consumers can try on a variety of different looks, then conveniently buy the items straight from the app. Also included are virtual tutorials that show the user how to contour, apply highlighter and other makeup tricks, all of which are overlaid on the user’s face. Parents and kids alike will be drawn to the Toys ‘R’ Us Play Chaser app, which creates a gamified experience for shoppers in any of the retailer’s locations. Users simply scan any (or all) of the store’s Play Chaser signs to activate various AR-based games and play experiences, from a virtual basketball hoop to selecting and taking home a digital doll. There’s even a virtual version of the Toys ‘R’ Us mascot, Geoffrey the Giraffe, who welcomes customers to the store and explains the app. To boot, some games have leaderboards that show where players rank amongst each other in their local store and nationally. The Macallan went all-in on AR for this one. For starters, the single malt Scotch whisky brand debuted an art exhibition powered by the Microsoft HoloLens that offered an immersive AR experience built around its two 12-year-old whiskies. 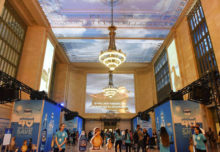 To enhance the temporary exhibit in person, and offer a similar experience to consumers at home and in stores, the brand developed the The Macallan 12 AR Experience. The down side is that the user must have a bottle of either the Double Cask 12 or the Sherry Cask 12 to use it (come to think of it, that’s probably an upside). Part storytelling and part educational, the app sends users on a journey through the production and consumption of the spirit. Vibrant AR animations corresponding to each topic fill the screen as a narrator guides them through the experience. If you’ve ever wanted to go car shopping without the burden of dealing with pushy salesmen, the BMW i Visualizer app might be your new best friend. 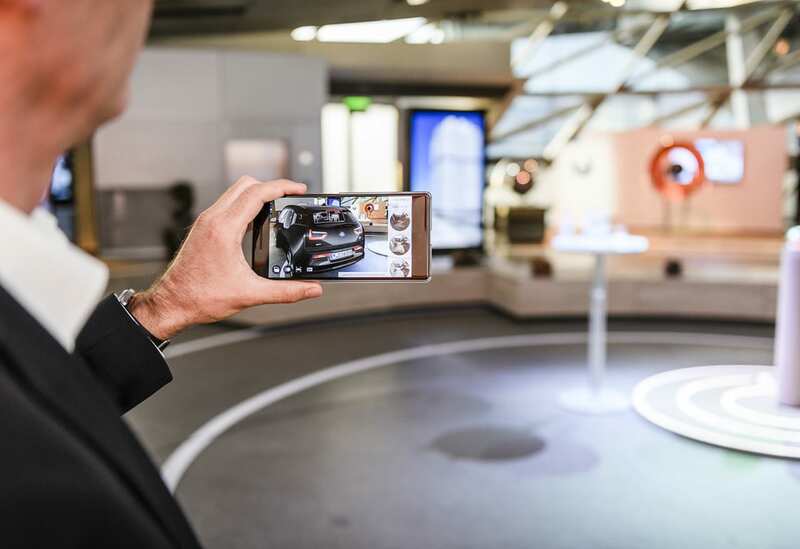 The app allows consumers to explore and design a 3D, life-sized version of the BMW i3, i3s or i8 at any time and in any location. Users can play around with the vehicle’s exterior and interior colors and wheel rims, switch on the radio and headlights and even go “inside” the car to view it in more detail from any angle.